A Severe Thunderstorm Watch means that conditions are right for severe thunderstorms to develop, but none have been observed. 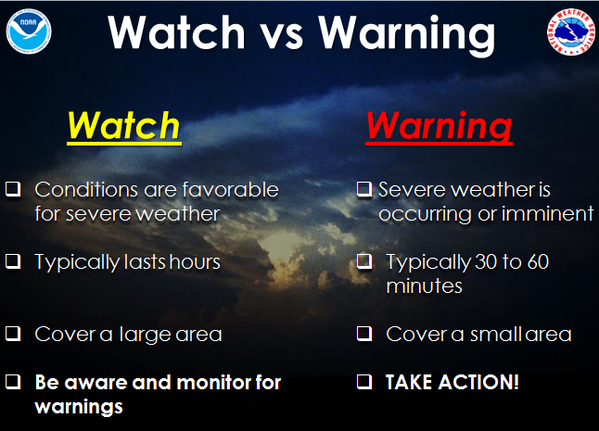 People should keep an eye on the sky and listen to commercial broadcasts or NOAA Weather Radio for any subsequent warnings. A Severe Thunderstorm Warning means that a severe thunderstorm is occurring. The severe thunderstorm has been detected by Doppler radar, or reported to the National Weather Service by our Skywarn Spotter Network, or the local law enforcement agency in a particular county. When a Severe Thunderstorm Warning is issued for your location, treat it the same as you would a Tornado Warning. 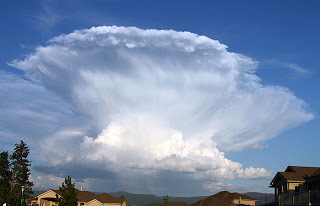 Severe thunderstorms can produce damaging winds, large hail, and deadly lightning and will occasionally produce a tornado, particularly in very strong squall lines, where a brief tornado can occur with little notice. Also, don't forget our mobile severe weather alerting tool that capitalizes on the convenience of mobile app technology! StormWatch+ will alert you if you are in the path of the storm via mobile phone, even if you are asleep. In addition, the StormWatch+ EnRoute feature will alert you if you drive into a severe weather warning! 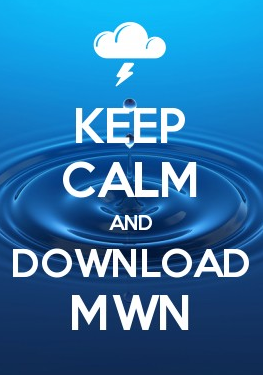 StormWatch+ is available within the MWN mobile apps for Android and iOS devices. Learn more or download the app by visiting StormWatchPlus.com on your computer or mobile device. 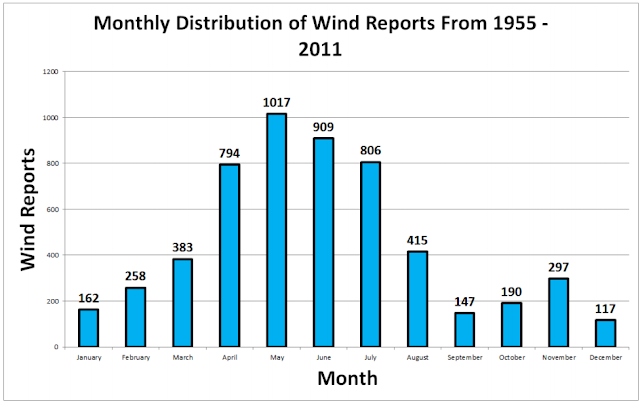 Severe wind reports (58+ mph) in the Mid-South by month. Most high wind reports occur in spring and summer, though they can occur in any month. 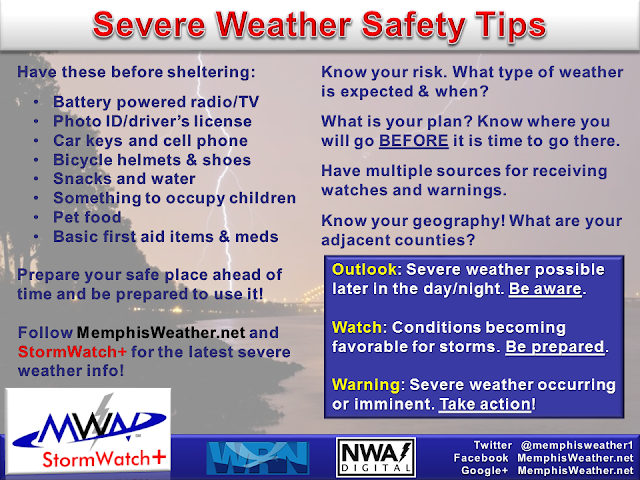 Courtesy NWS-Memphis.